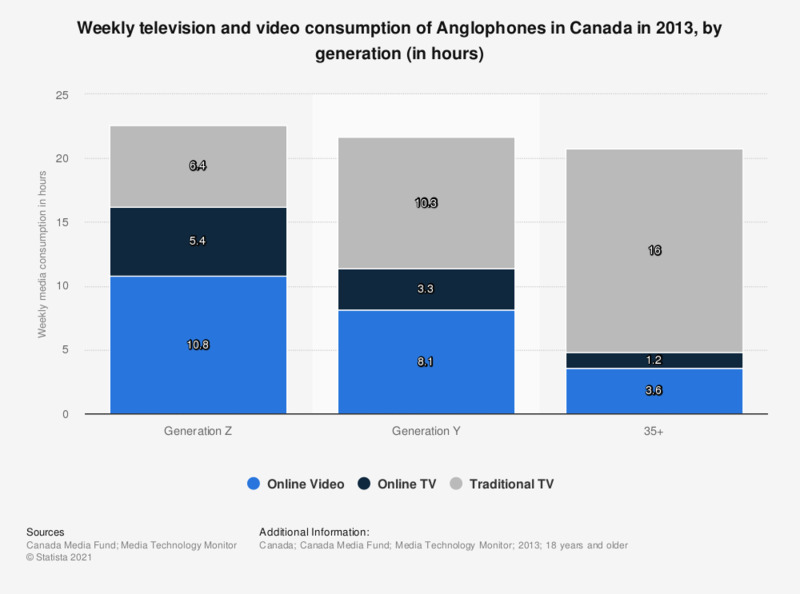 This statistic shows Anglophones' weekly time spent consuming media in Canada in 2013, by generation. During the reported period, Generation Z consumed the most amount of online video with 10.8 hours weekly. Canadians Anglophones aged 35 and above consumed the most amount of traditional television with 16 hours weekly.